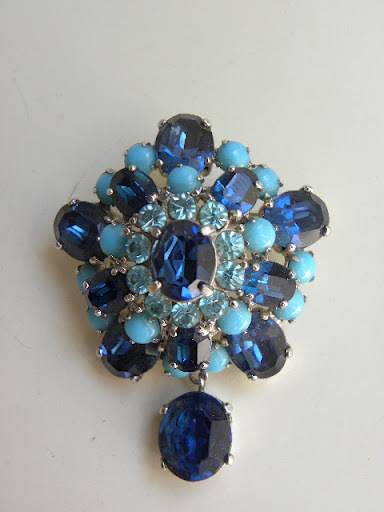 Not only am I a lover of vintage clothing, but vintage jewellery too. On one of my recent charity shop hunts I picked up a glorious sunflower Sarah Coventry brooch I thought I would introduce you to three of the brands that I always look out for. I find that vintage jewellery, especially that from the 50s and 60s can still be picked up cheaply at car boots. In the past I’ve picked up all sorts at car boots from Butler and Wilson, to Sarah Coventry and even a couple of Christian Dior pieces. One of the most collectable brands of the period has to be Sarah Coventry, a brand I own a few pieces by. I find jewellery by the brand tends to be quite statement. An interesting point about Sarah Coventry is that they used other manufacturers to produce their jewellery. This is why occasionally you see pieces which appear to be Sarah Coventry, but in reality are not. 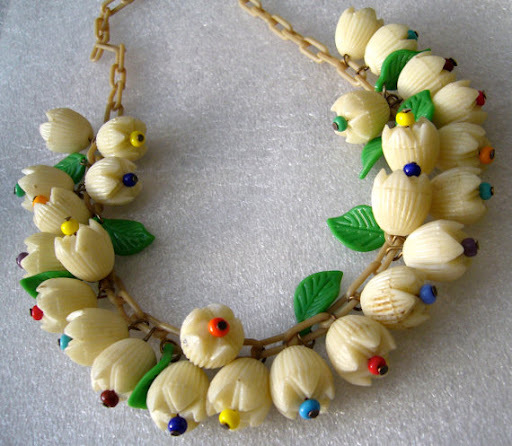 Sarah Coventry was once sold at home parties (yep, like a Tupperware party but with jewellery). Despite this it is now highly desirable. Sarah Coventry jewellery is signed in a number of different ways sometimes Sarah Cov. Other times Sarah Coventry. Miriam Haskell as a firm was more or less a joint venture between Haskell herself and Frank Hess. 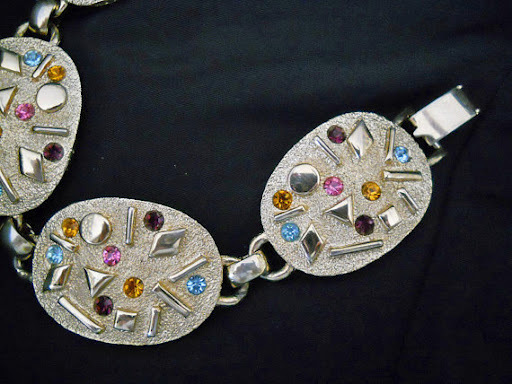 Hess provided the design talent and Haskell the business sense (it is not concrete whether Haskell ever designed the jewellery, although it is highly likely she didn’t). 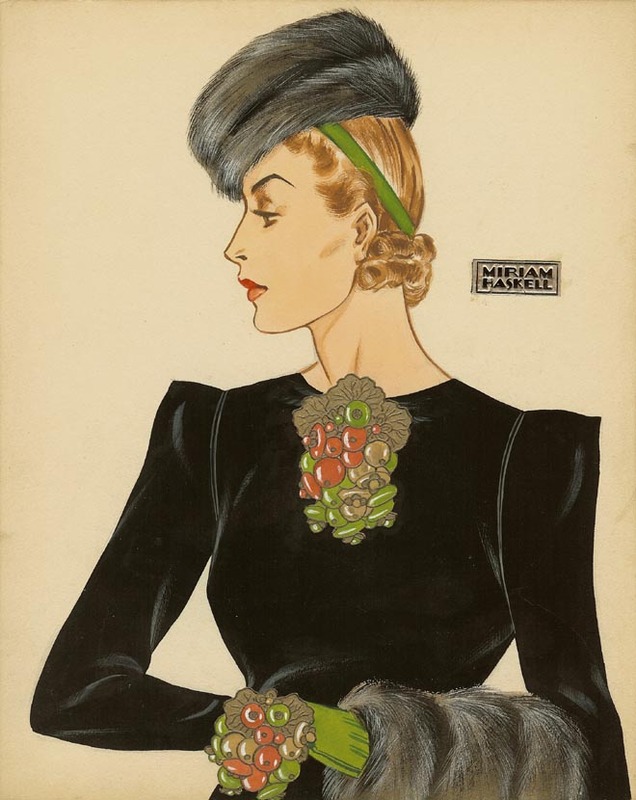 By the 1930s the name Miriam Haskell was well known (Haskell herself, and the jewellery brand) and jewellery by the brand was worn by the likes of Joan Crawford and the duchess of Windsor. Designs by Haskell are often quite naturalistic and Haskell was mostly associated with beaded rather than cast jewellery. Haskell was important in helping to bring forward the popularity (and acceptability) of costume jewellery. Christian Dior’s is of course one of the greatest names in fashion, but great business skills were the backbone of the company. Roger Vivier designed shoes for him and some of the greatest jewellery designers of the day were producing costume jewellery for him in the 50s including Kramer and Henkel and Grosse. 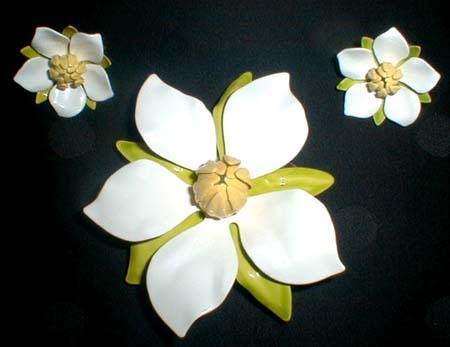 Although, in my opinion the best Dior jewellery designs were those produced by Mitchel Maer (c 52-56). Maer produced incredibly innovative and bold statement jewellery during these few years. Often Maer pieces for Dior can command high prices. If memory serves me correctly a Maer for Dior necklace achieved well over £500 at Kerry Taylor auctions last year. 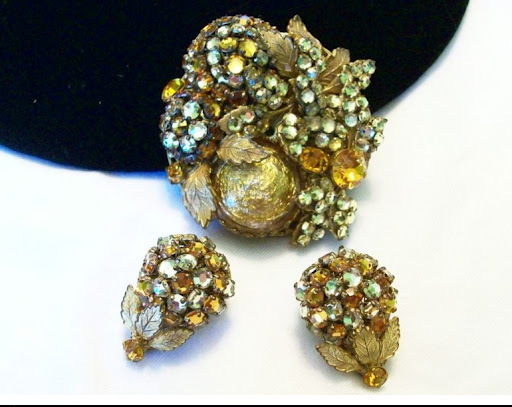 If you want to find out more about vintage jewellery and trends in jewellery here are a few of my favourite links. 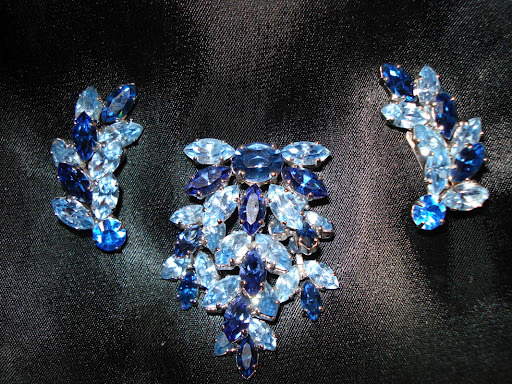 This blog has some great informative articles on the different fashions and periods of jewellery. This website has some fascinating images linking original artwork to the items of jewellery. That is some fantastic jewelry!